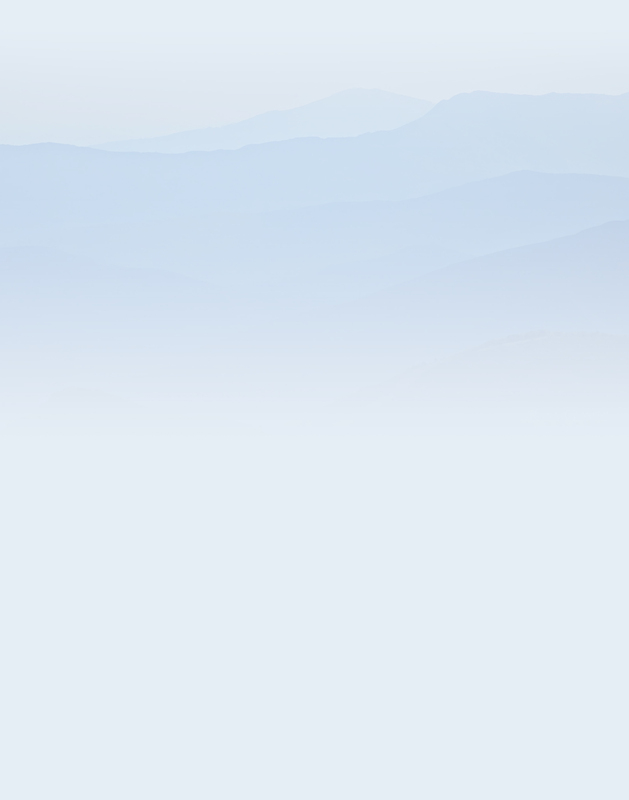 Smoky Mountain Super Moon will rise above the Southern Appalachian mountains Wednesday, March 20, 2019. This Smoky Mountain special event is the final Super Moon of the year appearing on the same day as the vernal equinox, the beginning of spring! This super moon is known as the “Full Worm Moon.” The full moon and the spring equinox arrive within four hours of each other. The last time this occurred was March 2000, but the last time it was on the same date was March 20, 1981. A “supermoon” means the Moon will be almost at its closest point to the Earth for the month. This is the third and final supermoon of 2019. The moon will seem bigger and brighter than normal. Traditionally Native American and other historical names for full Moons were used to keep track of the seasons. Each full Moon name was applied to the entire lunar month during which it appears. The Moon we view in March is known as the Full Worm Moon. During this time of year the ground begins to soften from the cold extremes of winter inviting earthworms to begin to appear and do their thing. Robins and other birds begin to feed on them and this was always considered a verifiable sign of spring. This re-birth of the earth is accompanied by roots pushing their way through the soil with green shoots popping up. Synchronous Fireflies Great Smoky Mountains June 2019. 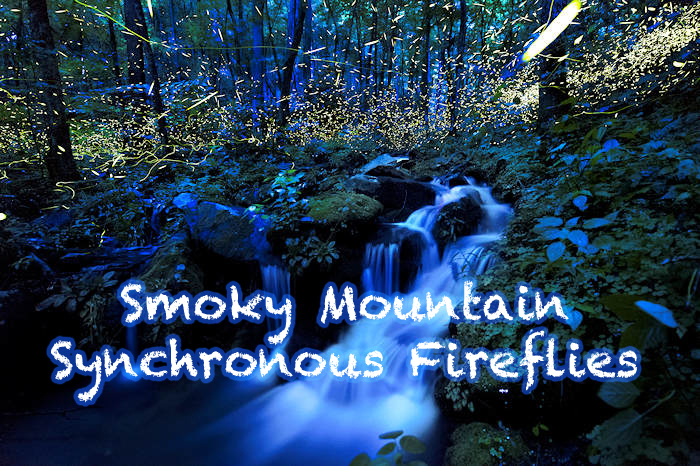 It’s never to early to start making plans to see the Synchronous Fireflies (and the Blue Ghost Fireflies) that will light up the night sky in late May and early June 2019 in the Great Smoky Mountains. Firefly viewing in the Smokies has become such a popular event that there are now several venues available to enjoy the spectacular shows. The Synchronous Firefly (Photinus carolinus) and the Blue Ghost Firefly (Phausis reticulata) are two species that are found only in the Southern Appalachian Mountains which include the Great Smokies. And during the short mating season in late May and early June, both firefly species put on quite a show to behold! The male Synchronous Fireflies flash their little green-yellow bioluminescent lanterns in unison for about 6-8 blinks and then they go dark for a few seconds creating a sublime wave of light throughout the forest. 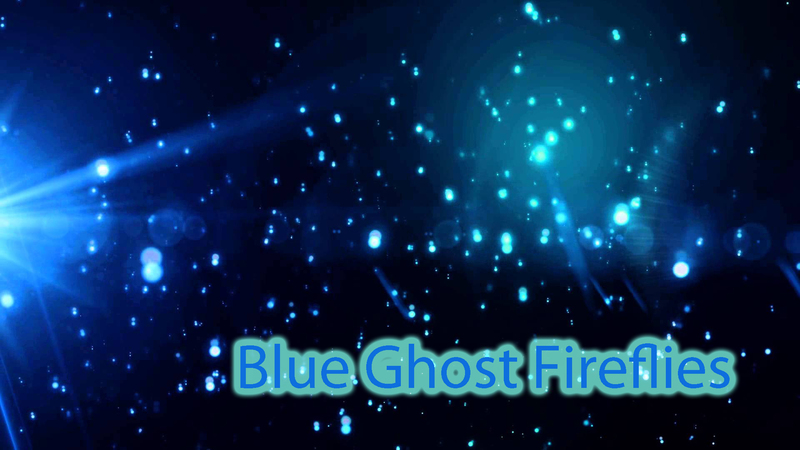 The male Blue Ghost Fireflies don’t flash their blue-white lanterns, instead they glow continuously just a few inches above the ground. The ethereal experience of either nighttime show should be on everyone’s bucket list! 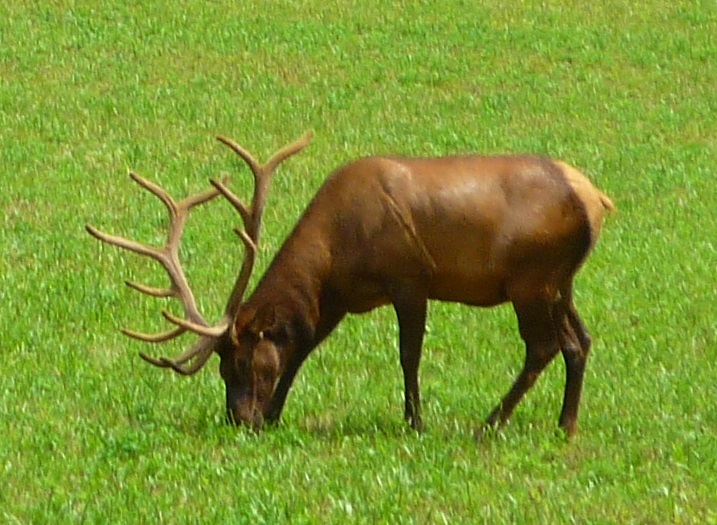 National Park scientists mostly use air and soil temperatures to predict the timing of each year’s mating season. One of the most popular places to view the Synchronous Fireflies is in Elkmont in the Great Smoky Mountains National Park. This event has become so popular that a free lottery system was instituted this year for the $1.50 parking passes for the eight-day shuttle period to Elkmont. During this time of peak viewing, Elkmont is closed at nighttime with the exception of shuttle users and campers in Elkmont Campground. Dates for the 2018 Lottery and Elkmont Shuttle will be announced sometime in April 2018. HeySmokies will keep you updated, so be sure to check back with us. We’ll provide you all the details of what you need to know to register for the lottery. For more information in the meantime, visit Recreation.gov. For a few nights during peak firefly viewing time, Discover Life in America hosts a fundraising event featuring nightly presentations and field walks at the Norton Creek Sanctuary near the Great Smoky Mountains National Park. Tickets for the event are $100 each and the event is geared toward persons ages 10 and older. For reservations for this exclusive event, call Discover Life in America at 865-430-4757 or email todd@dlia.org.